And so it is in the Minnesota State Capitol building and the stories it tells about the early settlers and the Dakota, the original people of this place. 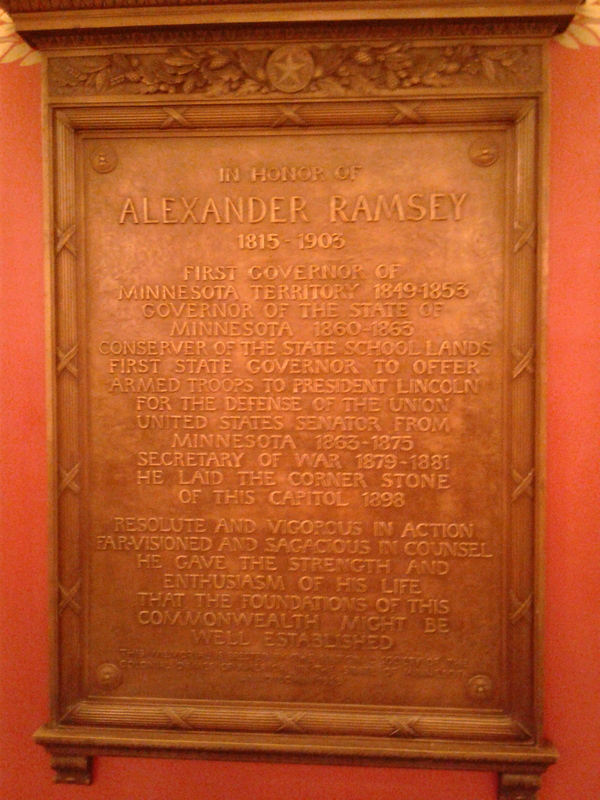 A historic plaque hangs in the hallway near the Governor’s office extolling Alexander Ramsey, the state’s first Territorial Governor and its second Governor after statehood. Not surprising for the time, the plaque failed to acknowledge Ramsey’s mercenary side, such his role in forcing through unfair treaties, or his decision to put bounties on Dakota scalps after the Dakota-U.S. War of 1862. The Minnesota State Capitol just underwent a major $300-million-plus renovation. 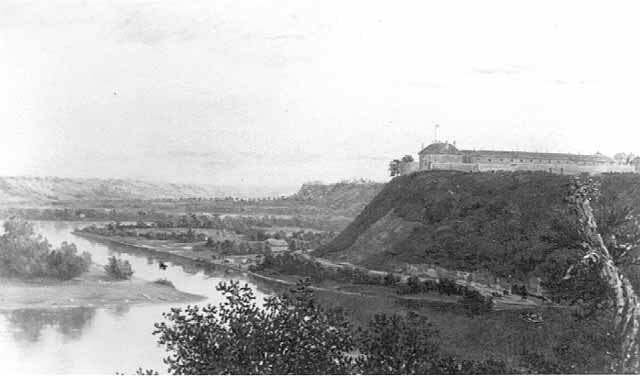 It included a vigorous debate over how to tell Minnesota history through art and interpretation. Historically, gubernatorial portraits have lined the Capitol corridors with only the governor’s names and dates of office. The renovation added short biographical narratives for each governor.